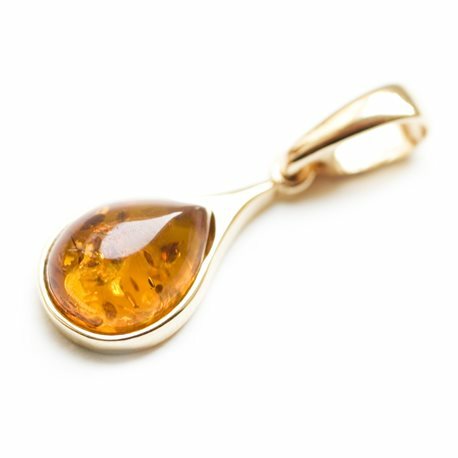 A light cognac color amber drop that catches every ray of light. Glassy, smoothly polished. Gold is the precious metal that delicately surrounds amber and highlightens its natural beauty. It is always fun remembering the summer rain. It waters thirsty land, washes dusty streets and people's pride, for we are all equal when we are soaked with rain.